Calculation (from the Nature Physics article) showing the before and after energy levels of the system. Before the perturbation, the system is in a trivial insulating state (big energy gap). When the external fields or perturbations are included in the mathematical description, energy pathways emerge in the band structure and allow for electron conduction along the edge of the system. The Floquet topological insulator does not require large electromagnetic fields and could be engineered to exhibit either quantum Hall or spin quantum Hall physics. Researchers in a collaboration between the PFC at JQI and CalTech have shown that it may be possible to take a conventional semiconductor and endow it with topological properties without subjecting the material to extreme environmental conditions or fundamentally changing its solid state structure. 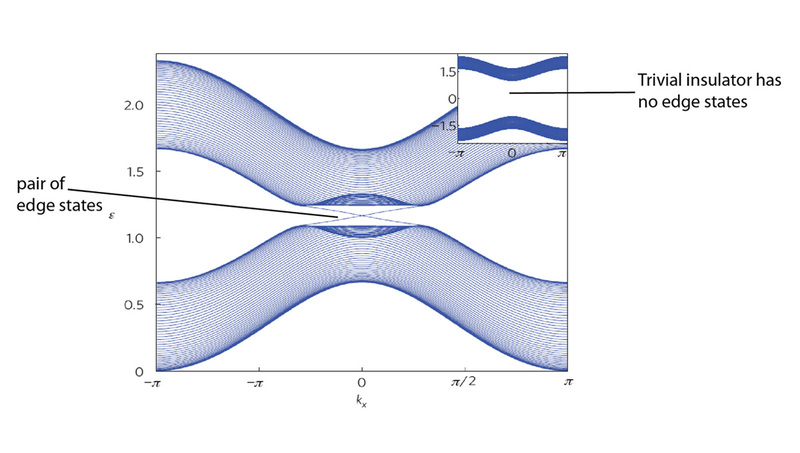 Notably, the Floquet topological insulator does not require extreme conditions and may exist at room temperature, making this system amenable for many applications such as quantum information processing and new types of electronics. Quantum information is fragile and can be spoiled easily by an external environment. 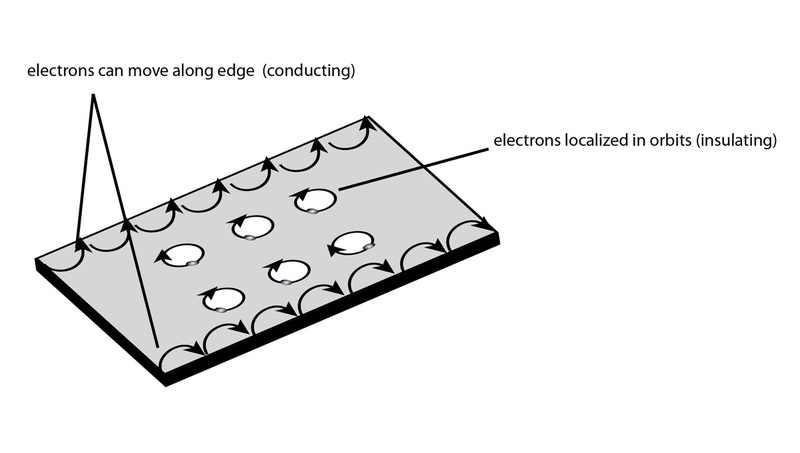 Interestingly, the edge states of topological insulators, assisted by superconductivity, can be used to store and manipulate quantum information in a manner that is protected from such outside influences.